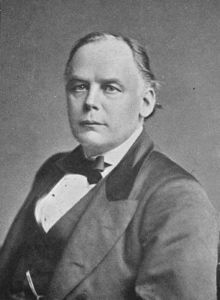 Apart from Charles Bradlaugh’s joint trial with Annie Besant for publishing a birth control pamphlet in 1877, Bradlaugh’s name has been lost to history. 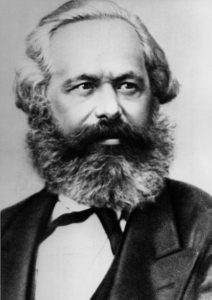 Yet in the 1860s through to the 1880s, he was head of the largest non-trade union radical-reformist organisation in the country. Marx kept Bradlaugh and his organisation (the National Secular Society) , out of the International Working Men’s Association, but as Bradlaugh was allied to practically every opponent Marx ever had on the General Council, Bradlaugh still made his presence felt. Marx called Bradlaugh the “Pope of Atheism” and derided him as a cheap jack tub-thumper, yet the conflict between them was not personal, but political. It came to head over the Commune of Paris in 1871 when in print and on the platform Bradlaugh endlessly and effectively attacked Marx and his IWMA backed pamphlet Civil War in France, where Marx defended the Commune and the Communards. Marx’s international conflict with Miguel Bakunin has over-shadowed Marx’s domestic conflict with Charles Bradlaugh. This OS brings that conflict out of the shadows and reveals its importance not only to the history of the IWMA, but to the Socialist Revival, which followed, as after Bradlaugh’s death, many of Bradlaugh’s anti socialist. radical-reformist followers found a new home with the Fabians or even with the Independent Labour Party, and they took their radical reformist, anti socialism with them.